DLP Design, Inc. is pleased to announce the new DLP-TH1C. 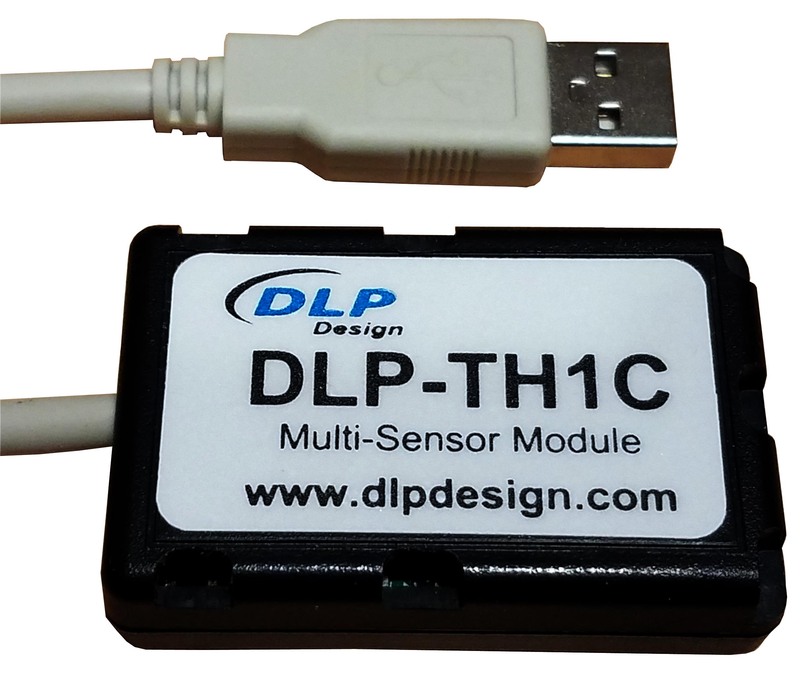 The DLP-TH1C is a USB-based module for acquiring temperature, humidity, pressure, sound, tilt, vibration and light data. A rudimentary host app and its source-code project (Visual Studio, Visual C++) is provided with the DLP-TH1C to demonstrate host communication via Virtual COM Port (VCP). All features of the DLP-TH1C can be accessed via single-byte commands from the host application. Download the DLP-TH1C datasheet for more details. The DLP-TH1C is available from	our distribution network. DLP Design, Inc. is pleased to announce the new DLP-RFID2P HF RFID reader/writer. The DLP-RFID2P is based on our popular DLP-RFID2 module. At power up, this device will read both the UID and stored user memory from ISO15693 tags and present this data on the backlit LCD display while in Local Mode. Up and Down buttons allow for scrolling through the user data on the LCD display. It can be powered from either a host PC or USB battery pack. A host PC is required in order to write to ISO15693 tags via the USB interface using the provided Windows app. Both Virtual COM Port drivers and Keyboard Emulator methods of host PC interface are available for the Remote Mode interface. Download the DLP-RFID2P datasheet for more details. The DLP-RFID2P is available from	our distribution network. 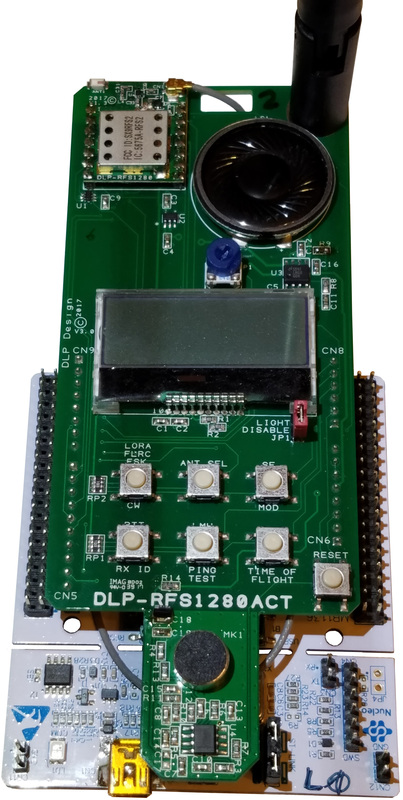 December 2017 (Updated May 2018): DLP Design, Inc. is pleased to announce the DLP-RFS1280 pre-certified module based on the SX1280 transceiver chip from Semtech Corporation. This new module implements the Semtech SX1280 transceiver, and is designed to work with an external, user-supplied microcontroller. Running on the STMicroelectronics STM32L073RZ microcontroller, this demonstration platform requires less than 55K of FLASH program memory to perform all of its functions. 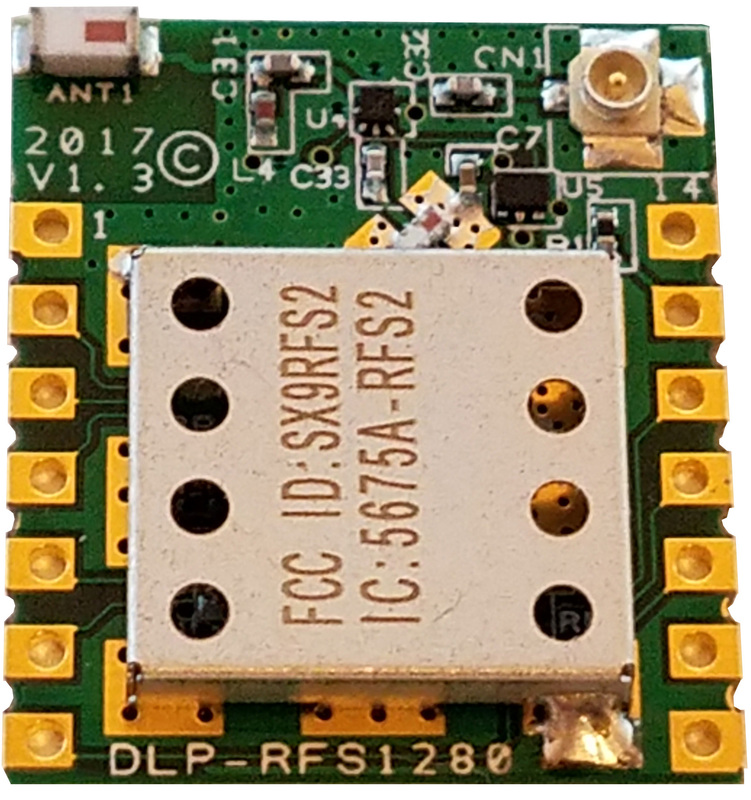 Just Announced: The DLP-RFS-LOCATOR demonstrates an implementation of the DLP-RFS1280 module whereby lost items can be found using both the Ranging (distance-measurement) feature of the SX1280 as well as a high-gain Yagi antenna for determining the direction to the lost item. For this demonstration, the DLP-RFS1280ACT serves as the "lost item", and its location (both distance and direction) is determined by the DLP-RFS-LOCATOR wand. The DLP-RFS1280 is available from	our distribution network. The DLP-RFS1280ACT is available from	our distribution network. The DLP-RFS-LOCATOR is available from	our distribution network. *Note: In order to properly demonstrate these transceiver products, it is required to have a minimum of two transceivers: Two (2) DLP-RFS-1280ACT, or both a DLP-RFS-LOCATOR and a DLP-RFS1280ACT. DLP Design, Inc. is pleased to announce the new PROTOMETER® voltmeter. The PROTOMETER (Part Number: DLP-PMV) frees your hands and helps control clutter on your workbench as you test and modify the circuitry on your breadboard. No more having to hold voltmeter test leads to monitor DC or AC (RMS) voltages - simply plug a PROTOMETER into your breadboard and turn it on. Voltages up to 60V are displayed on the miniature LCD display. The PROTOMETER is powered by a single coin cell, and it is small enough to accommodate multiple meters monitoring multiple voltages on even a small breadboard. Download the DLP-PMV owner's manual for more details. The DLP-PMV is available from	our distribution network. CDM Uninstaller: Program for selectively removing FTDI devices with specific VID and PID combinations. Read the manual for more details. FT_Prog: EEPROM programming utility for use with FTDI devices. It is used to customize the EEPROM contents and can modify information such as device descriptors. USBView Program: View the VID and PID of all connected USB devices even without drivers loaded. CDM (Combined Driver Model Version 2.12.28) Windows Drivers: WHQL-certified USB drivers -- required for 64-bit Windows systems. FTDI default VID/PID values (0403/6001 for single channel, 6010 and 6011 for dual) listed in the .inf files must be programmed into EEPROM using MPROG or FT_PROG. You can either download the WHQL certified driver files above or use the install executable to install them. - Make sure the USB device is not plugged in. - Download the FTDI driver install executable. - Run the driver exe file. - Wait for the command window to vanish. - Plug in the USB device and the driver will load. Note 2: If an extra COM port is not available after installing the latest CDM driver, connect the USB device and open Control Panel > System > Device Manager. Right click on USB Serial Converter under USB Controllers and select Properties, then the Advanced tab. Check the box marked "Load VCP", then click OK. Unplug and re-plug the USB device, and the COM port will be added. This method is also used to change the driver mode from VCP to D2XX (DLL).